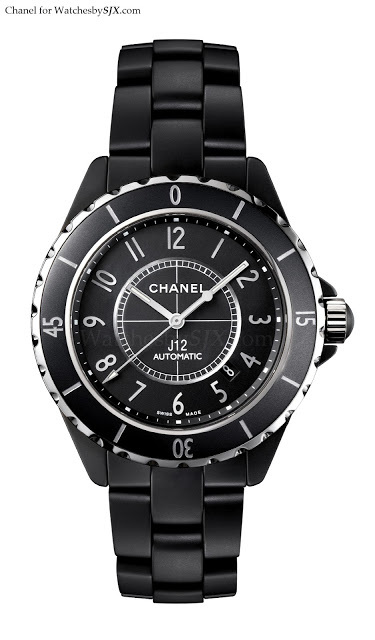 ﻿Introduced just over a decade ago, the Chanel J12 in glossy ceramic has been so incredibly successful it’s one of the most widely faked watches in the world. 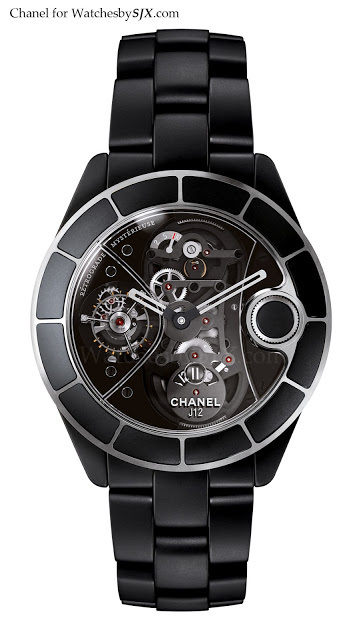 Chanel makes its ceramic cases in-house, thanks to its ownership of La Chaux-de-Fonds case and buckle manufacturer G&F Chatelain, which counts amongst its clients MB&F and Bell & Ross. 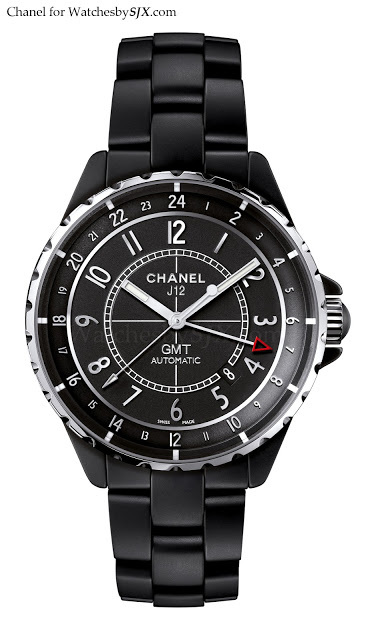 Now Chanel has unveiled three models in matte finish ceramic, which looks more masculine and also less inexpensive. I have always liked the Chanel J12; they are well made and not excessively expensive relative to technical horology brands. The new matte finished ceramic makes the J12 even more attractive. The basic model is the J12 automatic in a 42 mm matte ceramic case with an ETA calibre, pictured right.﻿﻿ And there’s a J12 GMT as well. This is slightly smaller at 41 mm in diameter. I reckon the movement is an ETA 2892 with the second time zone modification. Lastly is the Rétrograde Mysterieuse Tourbillon. This limited edition of 10 pieces uses a movement from Renaud et Papi, which also supplies tourbillon movements for other Chanel watches. The most notable feature about this is a minute hand that travels backwards. When the minute hand hits the ten minute mark, it travels counter-clockwise and resumes its clockwise travel at the 20 minute mark. It does so to avoid the vertical crown which sits at three o’clock. Clever, if a little gimmicky.